Many resources have revealed that the current era is the age of smart-phone industries. Consumers are looking for smart devices more than ever, and not just for the platform but because of a huge library of apps that can be installed on the device. So developing mobile applications for the devices has become the new challenge for the mobile app development industry. So companies are in continuous search for mobile app developers to build their application. But finding the right developers is not an easy task. 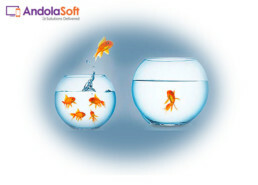 To get rid of this, Andolasoft has developed ‘Orangegigs’, a free mobile app developer directory, using Ruby on Rails. 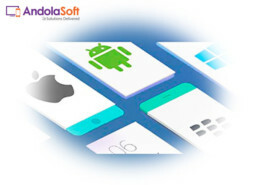 Objective is to meet the mobile app developers with mobile development companies. The website features simple functionalities with a fresh look and feel to the users. Here the companies don’t have to register to post their requirements similarly the developers can apply for a job without being a member. Companies including individual recruiters across the globe can list their mobile development projects for different mobile platforms such as iPhone, iPad, Android, Blackberry, Windows phone and PhoneGap. Mobile app developers can easily browse through the listed companies and contact them directly based on the location and the technology platform they work. The website is also integrated with popular social media plug-ins like facebook, twitter and Google+ to share their projects to the social networking sites. It includes couple of filters for location and platform. Also this filter helps to build SEO friendly URLs which are loved by crawlers.